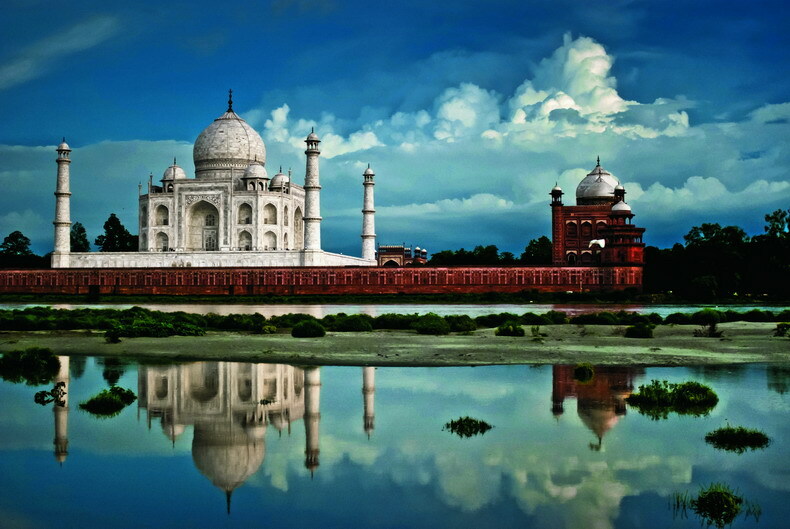 Considered as one of the most vibrant states of India, travel is complete without a visit to this wonderful state! From colours to cultures, from sand dunes to jungles, from monuments to lakes – the state offers everything a traveler can take. The “Best Of Rajasthan” tour thus, help a travel to experience the wonders of the state and take perennial memories with him/her. Arrival at Jaipur and transfer to hotel. 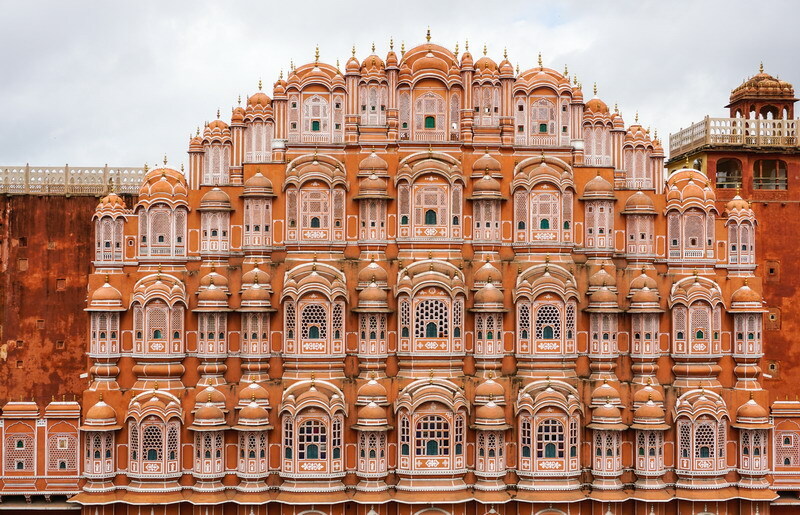 Jaipur, widely known as the 'Pink City was colored in pink to welcome Prince Albert, the consort of Queen Victoria of England who visited India in 1883 A.D. The city was founded in 1727 A.D by one of the greatest ruler Jai Singh II. Jaipur is surrounded by hills on three sides and crowned by formidable forts and majestic palaces, mansions and gardens. Jaipur is the only city in the world, which is sub-divided into nine rectangular sectors symbolizing nine divisions of universe. Also, Jaipur is the first planned city designed in accordance with 'Shilpa Shastra'- epochal treatise of Hindu architecture. Evening, Rest of the day is at leisure, free for independent activities. Morning: enjoy your breakfast at the hotel; later proceed for an excursion to Amber Fort, here you will enjoy the Elephant Ride to reach atop of the palace (Subject to Availability and optional) this journey on embellished elephants is bound to enrich your memories with the Royal lifestyle of the Maharajas and leave you with a truly unforgettable experience. Inside the Fort visit the Hall of Victory or Jag Mandir, the famed Sheesh Mahal - a room with all the four walls and ceiling completely embedded with glittering mirror pieces, which were specially imported from Belgium. Continue your journey: with the city tour of Jaipur- visiting Maharaja's City Palace, the former Royal residence, part of it is now converted into a museum. A small portion is still used by the Royal family of Jaipur. One of the major attractions of the museum is the portion known as Armoury Museum, housing an impressive array of weaponry-pistols, blunderbusses, flintlocks, swords, rifles and daggers. Later visit the Jantar Mantar, which is the largest stone and marble crafted observatory in the world, having 17 large instruments; many of them are still in working condition. During the tour you will also have a brief photography stop at Hawa Mahal - the Palace of Winds. Enjoy your breakfast this morning at the hotel, check out and proceed and drive to Bikaner. Bikaner which was once a major trading post between Africa, West Asia and the Far East. The arts prospered receiving the patronage of a wealthy merchant community. The city is renowned for the best riding camels in the world. This after noon you will visit Camel Breeding Farms; Junagarh Fort, a formidable structure encircled by a moat and having some beautiful palaces within. Situated at a height of above seven hundred feet above sea level, it towers over the city and can be seen from a distance. The fort and its palaces are profusely decorated with magnificent stone carvings. 30 kms south of Bikaner is the village of Deshnoke, where the famous Mata Karni Temple is situated. The 600-year-old temple is dedicated to Karni Mata, an incarnation of Goddess Durga. The temple plays host to thousands of rats that form the major attraction here. The rats are considered sacred and worshipped accordingly. You have to be very careful while entering the inner sanctum, because it is believed that if you accidentally step on a rat, a gold replica has to be made to compensate for the lost life. Enjoy your breakfast this morning at the hotel, check out and proceed and drive to Jaisalmer. Jaisalmer - a fairy-tale town in the Thar Desert founded about 800 years ago by Raja Jaisal. Unlike any other city, this desert fortress is one of Rajasthan's most exotic and unusual towns. Jaisalmer, an important ancient trading centre because of its strategic location on the camel trade routes, is often described as the 'golden city'. The havelis, built by merchants of the 19th century, are exquisitely carved from golden-yellow sandstone and are still in a beautiful condition. The fort built by Rawal Jaisal in the 12th century, stands on the 80 meter high Trikuta hill, with beautifully carved Jain temples. The annual desert festival takes place in January and February each year and is a riot of color and activity. 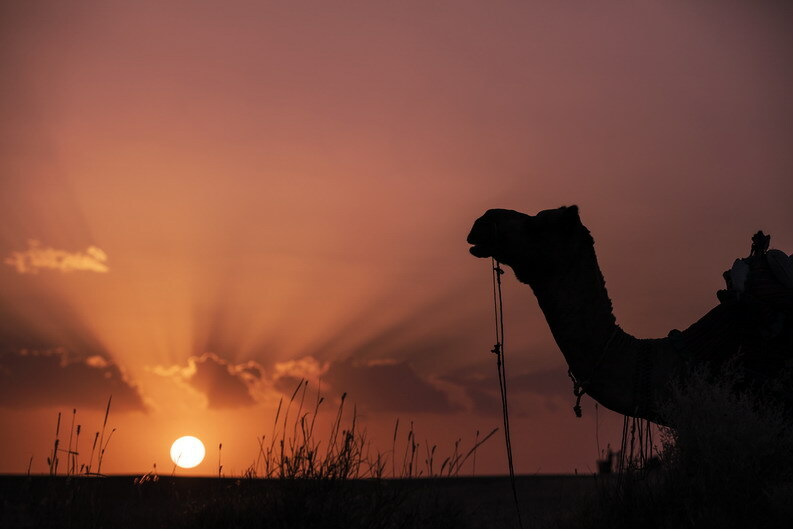 Jaisalmer is also famous for its embroidery, Rajasthani mirror work, rugs, blankets, antique and stonework and the sand dune desert camel safaris. Afternoon is free, walk around the colorful and bustling bazaars for personal exploration or shopping. Enjoy your breakfast this morning at the hotel; proceed for the city tour of Jaisalmer. Visit the famous Haveli’ (mansions) known for their frescoes. Jaisalmer's strategic position on the camel terrain route brought great wealth. The merchants grew prosperous and commissioned great havelis, or mansions, to flaunt their ever-growing status in society. Made of local golden-yellow sand stone and wood, some of the havelis are still in excellent condition. The most elaborate and magnificent of all the Jaisalmer havelis is the Patwaon Ki Haveli. Five Jain brothers built the Haveli between 1800 and 1860. Salim Singh Ki Haveli and Nathmal Ki Haveli are the other two havelis that are open to visitors. Built in 1156 by the Bhatti ruler, Jaisal, THE FORT here stands atop the 80 m high Trikuta hill and 3 walls and 99 bastions surround the fort. Over the centuries, the golden sand stone fortress witnessed many battles between the Bhattis, the Mughals and the Rathors of Jodhpur. Within the fort complex lie the beautifully carved Jain Temples built between the 12th and 15th centuries. The Maharawals (rulers) of Jaisalmer were devout Hindus but were tolerant of Jainism, and encouraged art and religion. There are 7 temples in the complex. Enjoy your breakfast this morning at the hotel, check out and proceed and drive to Jodhpur. The 15th century city of Jodhpur, stands at the edge of Thar Desert and is the largest city in Rajasthan after Jaipur. Jodhpur is a resplendent city, with a blend of modern and traditional buildings. 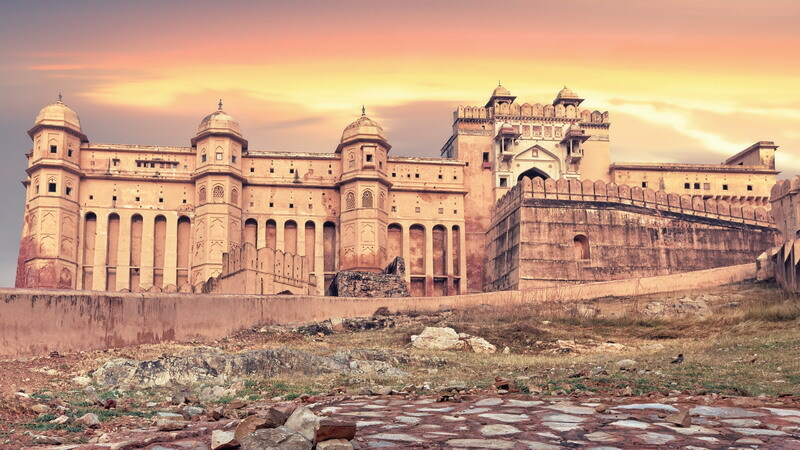 The city is totally dominated by a massive fort sprawled across 125- meter high hill known as Meherangarh Fort, founded by Rao Jodha in 15th century. A flourishing trade center in the 16th century, Jodhpur is still one of the leading centers of wool, cattle, camels, salt and agricultural crops . 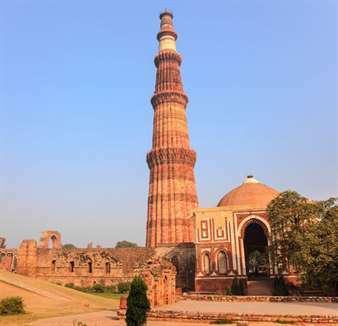 It boasts of some of very fine reminders of its glorious past palaces, temples and other elegant monuments of architectural and historical significance. Also Jodhpur is popularly known as the 'Blue City' because of the beautiful houses painted with indigo color mostly belonging to the Brahmin caste. You can get a magnificent view of this Blue city from the ramparts of the Meherangarh Fort. Visit the Meherangarh Fort, which was impregnable for the rocky base it is built on. It totally dominates the city and within its walls are the royal palaces, priceless jewels and a striking collection of arms. 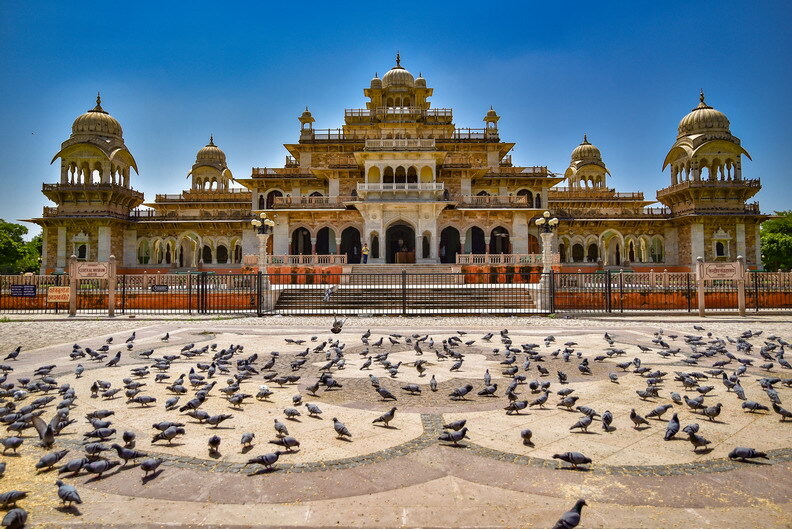 Also visit Jaswant Thada, the white marble memorial to Maharaja Jaswant Singh II built in 1899. Enjoy your breakfast in morning at the hotel, check out and proceed and drive to Mount Abu. You’ll drive through valleys in the remote and peaceful Aravalli Range to Mount Abu. The Aravalli Hills of Rajasthan have a range of natural and cultural bounties which makes it an excellent destination. The biggest draw of this charming hill town is the famous Dilwara Temples, worth a visit for their outstanding architecture, intricate white marble carvings and elegant sculptures. This ancient temple complex captures the cultural heritage of the region in all its glory. (Temple opens only at 1200 Hrs. Leather belts, footwear, bare legs and black clothing not allowed) En route you will visit the Ranakpur Jain Temple. The Ranakpur Jain temples are hidden in the dense forests of the Aravalli hills in a peaceful setting and are one of the five holy Jain pilgrimages and they were built during the reign of the liberal and gifted monarch Rana Kumbha in the 15th century. An enormous basement covers 48,000 sq. feet area. There are four subsidiary shrines, twenty four pillared halls and eligibly domes supported by over four hundred columns. The total number of columns is 1,444 all of which are intricately carved with no two being alike. The artistically carved nymphs playing the flute in various dance postures at a height of 45 feet are an engrossing sight. In the assembly hall, there are two big bells weighing 108 Kg and their sound echoes in the entire complex. After lunch drive to Mount Abu. Dilwara Temples: This temple complex built in the Solanki style of architecture dates back to the 11th and 13th centuries AD. Carved out of white marble, these temples are dedicated to the Jain Tirthankaras (enlightened souls). The oldest temple, the Vimal Vasahi temple, was built in 1031 AD and is dedicated to the first of the Jain Tirthankaras. The temples are very famous for the intricate carvings, especially on the pillars. But the most striking feature of this Jain temple is the marble pendant in the dome of the porch. It hangs from the ceiling like an enchanting cluster of half-open lotuses with cups so finely carved that they appear to be transparent. Nakki Lake: Legend has it that this lake was carved out by the Gods. Set picturesquely amidst hills, it is the only artificial lake in India that is 1200 meters above sea level. The Nakki Lake, set amidst the misty hills, makes for a pretty picture with colorful tourist boats gliding past. Toad Rock, a uniquely-shaped rock, adds to the charm of the picturesque lake. The Natural beauty and breathtakingly beautiful temple architecture make this sightseeing tour in Mount, Abu memorable. Enjoy your breakfast this morning at the hotel, check out and drive through valleys of the remote and peaceful Aravalli Range to Udaipur. We'll continue driving south, arriving Udaipur, known as the “City of Sunrise”. 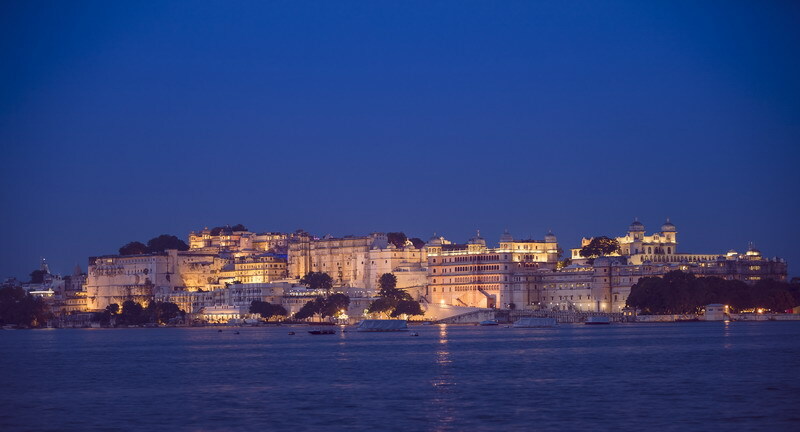 It is on the banks of the shimmering lake Pichola and is one of the most romantic cities of Rajasthan. Nestled among the lush hills of the Aravali, it has inevitably been dubbed the 'Venice of the East'. 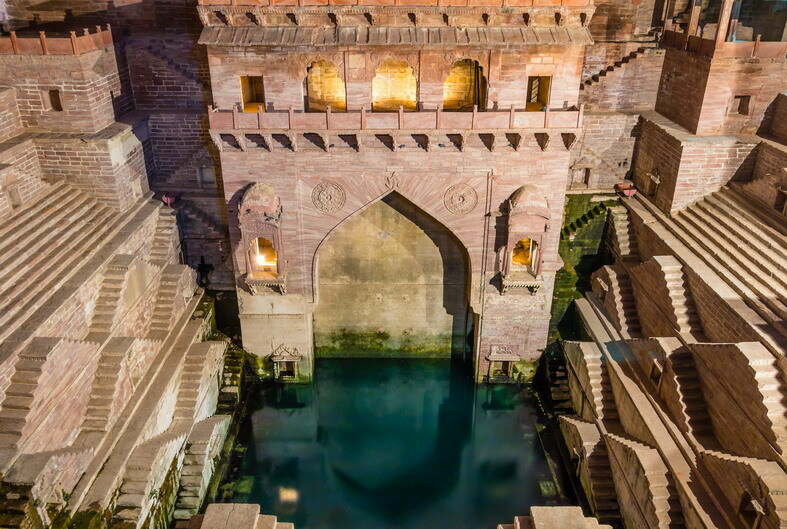 It is a kaleidoscope of fairy-tale palaces, lakes, temples, gardens and narrow lanes strewn with stalls, carries the flavor of the heroic past, epitomizing valor and chivalry. Udaipur was founded in 1568 A.D. by Maharana Udai Singh; the city is a harmonious Indian blend of whitewashed buildings, marble palaces, lakeside gardens, temples and havelis. Enjoy your breakfast this morning at the hotel, and proceed for sight seeing of Udaipur. 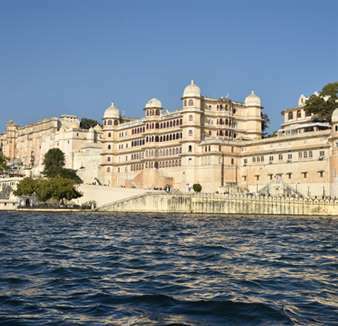 Udaipur is also a centre of historic arts and crafts of Mewar. 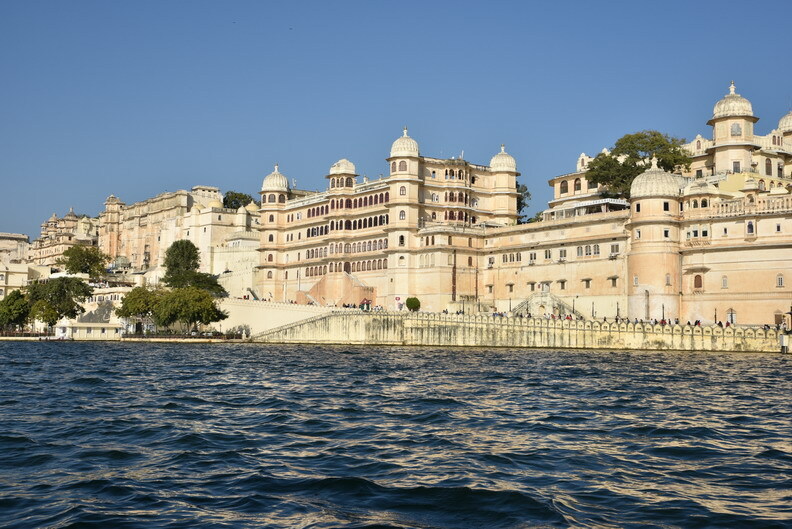 During the tour you will visit the City Palace built in 1725, the grand City Palace is actually a conglomerate of eleven palaces overlooking the sprawling Lake Pichola. One of the largest, most beautiful palaces in the state of Rajasthan, it is now a museum, royal residence and a luxury hotel. This intricately designed monument is an architectural wonder in granite and marble; Jagdish Temple built in 1651 by Maharaja Jagat Singh, is dedicated to Lord Vishnu and is located in the centre of the old city. The temple has a black marble image of Lord Vishnu, which is unusual for the northern part of the country, where statues of Gods are normally in marble. Later visit Sahelion Ki Bari that is a small ornamental garden built in the honor of Royal Ladies for recreational purpose. Next is the visit to Bhartiya Lok Kala Museum. Bharatiya Lok Kala Mandir is home to an attractive collection of folk dresses, puppets, ornaments, dolls, masks, folk musical instruments, folk deities and paintings. The museum is the best place for those interested in puppetry. Short amusing puppet shows are staged throughout the day. In addition, the museum runs short courses in puppet making and theatre. The Udaipur trip will be followed by visit to Eklingji & Nagda Temples - built in white marble with a double storied porch on the bank of Lake Bageela - 22 kms from Udaipur. Enjoy your breakfast this morning at the hotel, check out and proceed and drive to Ranthambhore, En route visit the Chittorgarh Fort which is a huge and colossal structure. The entrance to the fort is provided through seven gates with the main gate, Ram Pol (gate of Ram). As per the legend, Bhim, a Pandava, started the construction of the fort. There are a number of magnificent monuments inside the fort. Tour must include Rana Kumbha Palace, the most imposing monument in the Chittorgarh Fort. Rich heritage and architecture define this palace. It is believed that the palace has underground basements where Rani Padmini and other women performed Johar. After Lunch drive to Ranthambhore. The Park covers a huge area of 400 kms of dry deciduous forest and has three lakes – Rajbaug, Padam and Malik and the fort at the entrance. The town gets its name from two hill ranges, “Ranas” and “Thambore” which meet there. The main tourists' attraction here is the royal Bengal tiger. The area of Ranthambhore Park hosts 30-32 tigers, showing a healthy ecosystem. For a relatively small area, the park has a rich diversity of fauna and flora - species list includes 300 trees, 50 aquatic plants, and 272 birds, 12 reptiles including the Marsh Crocodile & amphibians and 30 mammals. It includes around a thousand chitals, 800 neelgais, a rattle and a sloth bear, many sambars, few chinkaras, blackbuck and many crocodiles & python. It houses birds like cormorants, miniwets, darters, drongos lapwings, anoles, cormorants, kingfishers, stone curlews and eagles & thousands of peacocks and peahens. The landscape is dotted with ancient Banyan Trees, Dhok & Pipal trees. The forest is typically dry deciduous type, with Dhok, being the most prominent tree. Early morning Game Drive in Canter (Open Bus 20 Seater) into the Park where your naturalist will talk to you about the wildlife found in this Park. Ranthambhore National Park is probably the best place in the world to see wild tigers and is the only dry deciduous tiger habitat in the world. In game drive your naturalist will help you explore the park in the search of the Royal Bengal Tiger. 1000 hrs: Return to the Hotel. 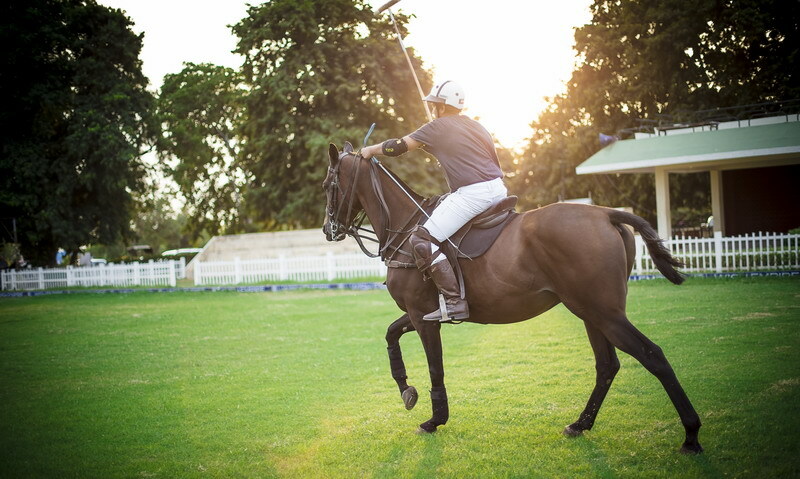 Evening game drive in Canter into the Park where your naturalist will talk to you about the wildlife found in this Park. And if you are lucky you will spot the tiger. 1800 hrs: Return to the Hotel. monuments,medical expenses, airport departure tax etc. 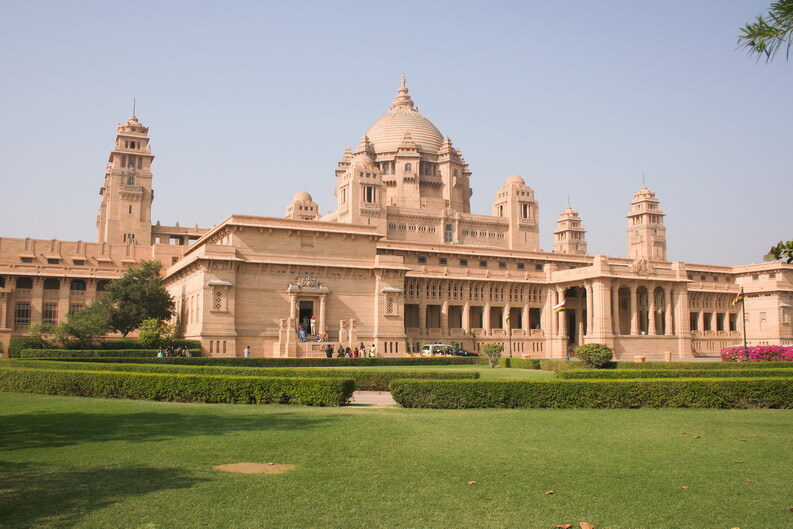 Bikaner is a culturally rich city, located in Rajasthan. It was originally founded by Rao Bika, and since ages is known for its fascinating and rich heritage. This state was formed in the year 1486, and was known as the former capital of the Princely states. It is quite close to Thar Desert, one of the longest and biggest deserts in India. It is an ideal place where you can buy some of the finest quality wools, and ethic jewelries. Apart from air, road, and airways tourist can enjoy the ride of splendid autorickshaw and buses. You can plan your visit during the famous Bikaner Camel festival, which is organized in the earlier months of the year. The climate here is hot, and the place experiences less rainfall and extreme winter. 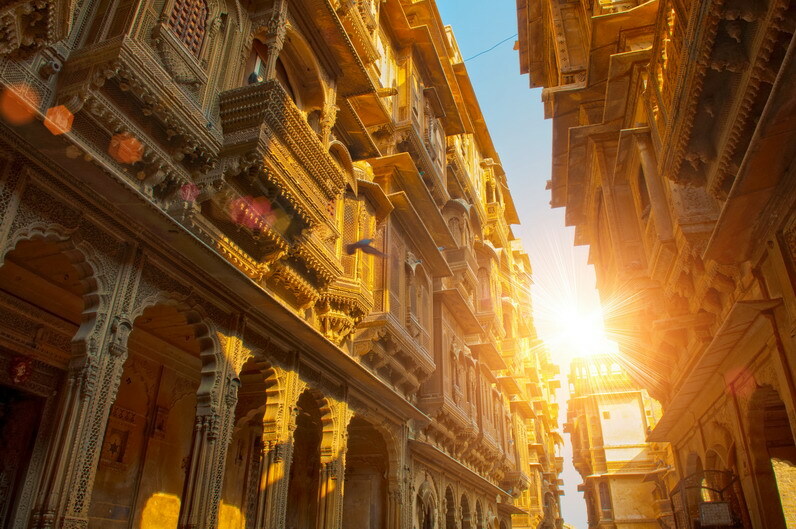 The Golden city of India, Jaisalmer is a beautiful city located in Rajasthan. The city is quite famous for its yellow colored sandstone monuments and forts. Apart from some of the famous and excellently crafted palaces, Jain temple is the best place to visit here. It is located at the heart of the Thar Desert, the longest and beautiful Deserts of the country. Some of the famous and magnificent palaces or Havelis in Jaisalmer are Nathmal Ji ki Haveli and Salim Singh Ki Haveli. Due to its geographical location, the climate here is extremely hot and humid. The city is well connected with the all modes of transportation. Mount Abu is a hill station located on the Aravalli Range in Rajasthan. It shares it border with Gujarat as well. This place is also known as the oasis in the desert, and you can enjoy splendid rivers, lakes, and waterfalls here. Tourist attractions include Mount Abu Wildlife Sanctuary, Guru Shikar, and the beautiful temple of Dilwara. The climate here during summer is quite hot and winters are extremely cold. You can easily reach the place through bus, railway, or flight.